That’s how Facebook CTO Mike Schroepfer introduced his second-day keynote presentation at this week’s F8 conference, where he revealed cutting-edge products like high-flying drones and artificial intelligence that can learn, and gave a real explanation for where the Oculus Rift fits into the social network. Virtual reality: Schroepfer demonstrated how far virtual reality has come, comparing Battlezone for the Atari 2600 from 1980 with a demo of EVE Valkyrie, an intense spaceship simulator coming to the Oculus Rift. “What the heck does this have to do with Facebook?” Schroepfer asked himself, voicing the question that’s been on everybody’s mind since Facebook bought Oculus back in early 2014. But for Facebook, he says, virtual reality is just another way to connect with people. Sometimes, you’re across the country from loved ones. Sometimes, parents can’t be with your kids. Sometimes, friends can’t make it for a birthday party. “I wish everybody could have been teleported to this moment,” Schroepfer said. Connectivity: Getting people online is really hard, Schroepfer said. Telecommunications companies amortise the costs over years of contracted services, eventually making back the money they spent getting people on the grid in the first place. In the developing world, there just isn’t enough return on investment to warrant them coming in and laying down cable. “This basically mean going to the sky,” Schroepfer says. He showed off the Aquila, an internet-connected unmanned drone with the wingspan of a 737 and the “mass of a small car.” It would fly over regions of the developing world, sprinkling internet access like rain. Schroepfer said the company will have more information to share on Aquila later this year. As part of our Internet.org effort to connect the world, we’ve designed unmanned aircraft that can beam internet access down to people from the sky.Today, I’m excited to share that we’ve successfully completed our first test flight of these aircraft in the UK. Artificial intelligence: As for those better interfaces, Schroepfer said that the company’s issue is that there’s just so much new digital picture and video content in the world, with more and more coming every single day. Artificial intelligence is generally accepted as the way forward, helping companies like Facebook index and archive all of that data in a way that a human would find useful. “You can start to build a deeper understanding of what’s in the content,” Schroepfer says. The problem is that a computer still isn’t as a good at identifying what’s in a picture as Schroepfer’s three-year-old son. Facebook researchers are hard at work building new AI systems that can really learn and be trained and solve basic logical problems, all with the end of helping keep track of this deluge of videos and content. So there you have it. Facebook has a lot on its plate, with lots of really advanced science going on behind the scenes. 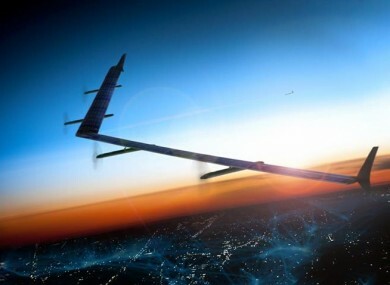 Email “Facebook is building a fleet of internet-connected super-drones”. Feedback on “Facebook is building a fleet of internet-connected super-drones”.